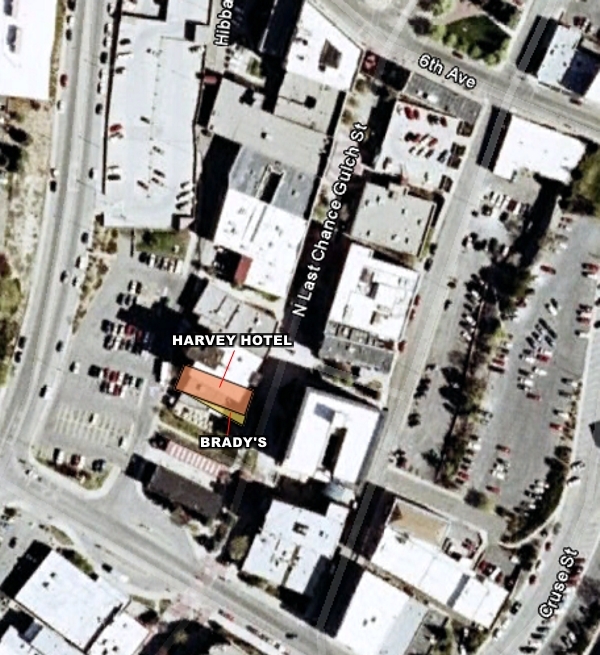 Brady's occupied a long, tapering space on the south side of the Harvey Hotel. 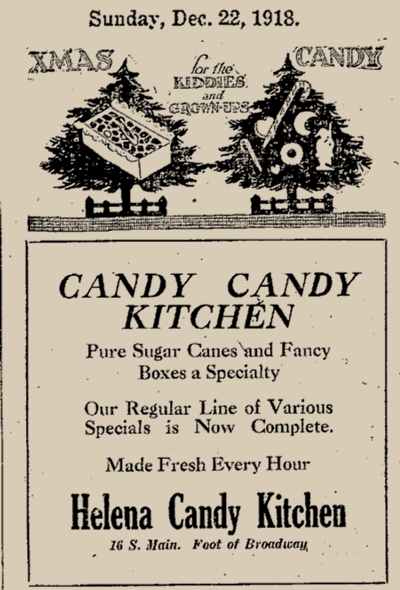 Wisconsin native Joseph F. Brady opened the Helena Candy Kitchen at 16 South Main sometime before 1918. 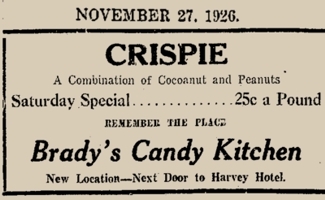 According to Brady's newspaper obituary (see below), that location was destroyed by fire in 1926. 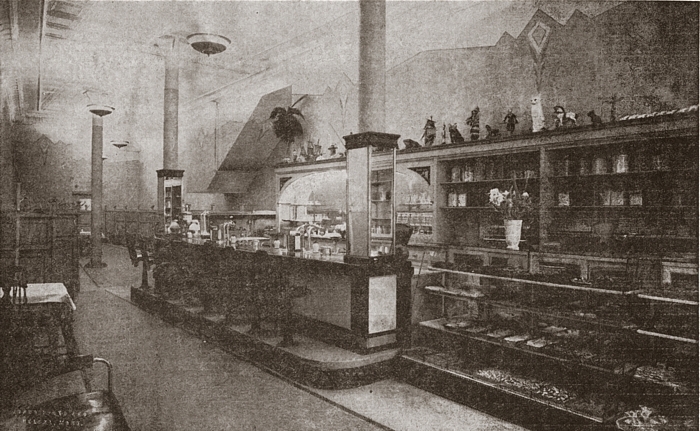 He moved north on Main to a space by the Harvey Hotel, at 8 North Main. 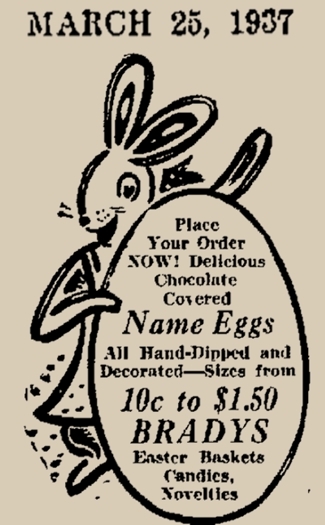 Brady sold out and retired in 1945. 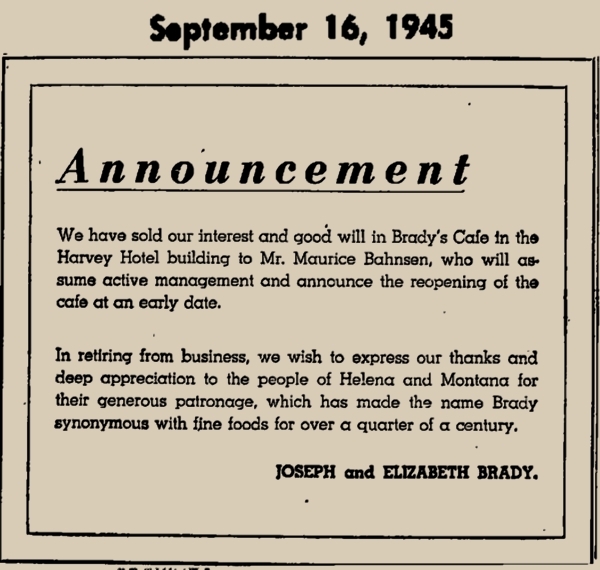 Joseph Brady actually outlived Helena native Maurice Bahnsen, who operated Brady's for two years before returning to previous business interests on the west coast. 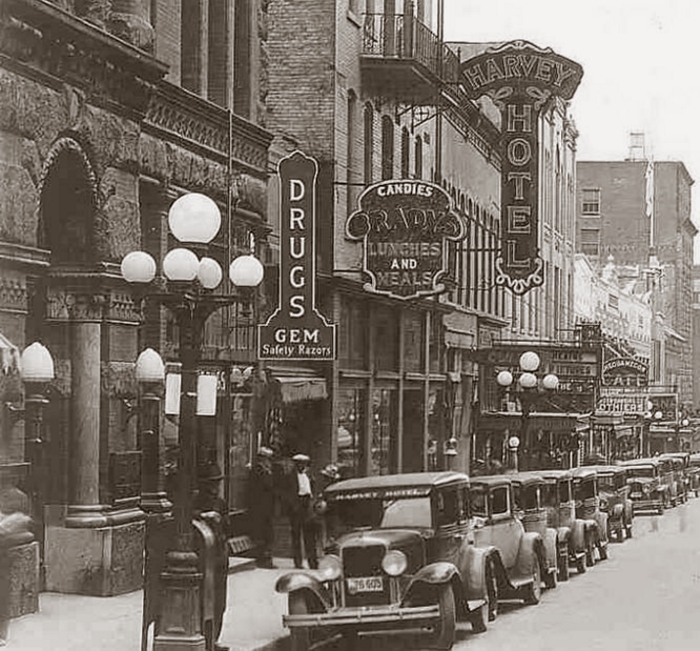 Bahnsen became ill in 1950 and returned to Helena, where he died on May 17, 1951 at the age of 47. 8 North Main was subsequently home to Hudson's Upholstery, ca1953-1963, and evidently housed a laudromat when the building was heavily damaged by fire in 1967.